A brand new Koreanovela is set to premiere this Monday afternoon on the Kapamilya network. After we fell in love with the 100% 'kilig' Koreanovela via "My Princess", get ready to fall in love once more with a unique love story! How will an ordinary man fall in love with a mythical creature?! This is the most exciting question all of us should witness starting tomorrow as "My Girlfriend is a Gumiho" premieres. Gumiho is Korea's mythical creature, a nine-tailed fox which eats the liver of a man! Now are you more excited for this?! Definitely! 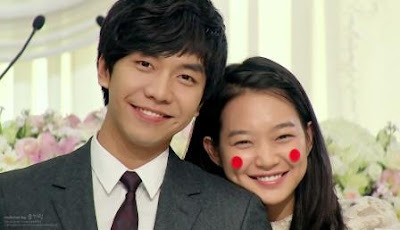 “My Girlfriend is a Gumiho” stars Lee Seung Gi (Brilliant Legacy) and Shin Min Ah (Beautiful Days). If I'm not mistaken, "My Girlfriend is a Gumiho" is the second fantasy Koreanovela aired in the Philippines. The first one is called "Forbidden Love", a drama-action Korean series also aired on ABS-CBN way back in 2005 which was also about the story of werewolves!